PITTSBURGH – Some 3,800 union oil workers began Feb. 1 their largest strike since 1980. The United Steelworkers Union called for its refinery workers to stage their walkout after negotiations with Shell Oil Co. broke down less than two weeks after they began. The walkout has taken place at nine refineries mostly in Texas and California. Negotiations over a new contract started Jan. 21. The call for a strike happened after United Steelworkers, or USW, rejected Shell’s fifth contract offer. The union said Shell refused to provide a counter offer and that the company’s representatives had left the bargaining table. “We had no choice but to give notice of a work stoppage,” USW International President Leo W. Gerard said in a statement. 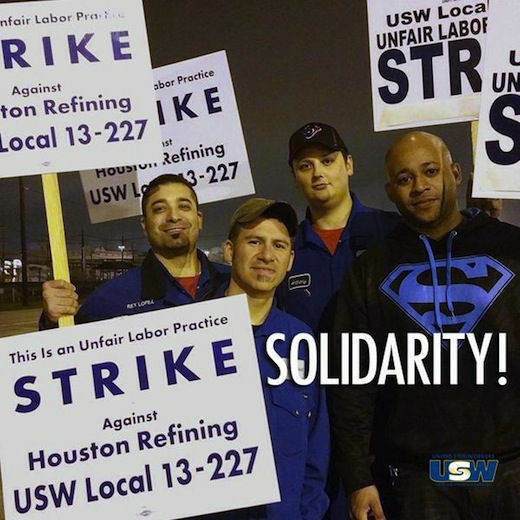 “We told Shell that we were willing to continue bargaining for a fair agreement that would benefit the workers and the industry, but they just refused to return to the table,” said USW International Vice President Gary Beevers, who heads the union’s National Oil Bargaining Program. Shell is the lead negotiator on behalf of the National Oil Bargaining talks, other oil giants include Exxon Mobil and Chevron. 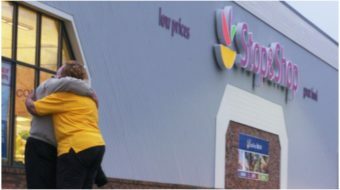 Any agreement reached between the union and Shell would then be used as a pattern for negotiations involving local unions. USW Spokeswoman Lynne Hancock said the union wants a three-year contract and is focused on health care costs, safety, the use of contractors and staffing concerns, as well as wages. “This work stoppage is about onerous overtime; unsafe staffing levels; dangerous conditions the industry continues to ignore; the daily occurrences of fires, emissions, leaks and explosions that threaten local communities without the industry doing much about it,” VP Beevers added. United Steelworkers represents about 30,000 workers at refineries, terminals, petrochemical plants and pipelines across the country, which produce about two-thirds of U.S. oil. The union called for a strike at five facilities in Texas, two in California, one in Kentucky and one in Washington State, including LyondellBasell in Houston, Marathon Galveston Bay Refinery in Texas City, Marathon Refinery, Catlettsburg, Ky., Tesoro Martinez Refinery, Martinez, Calif.
USW International Vice President of Administration Tom Conway said, “Oil companies are too greedy to make a positive change in the workplace.